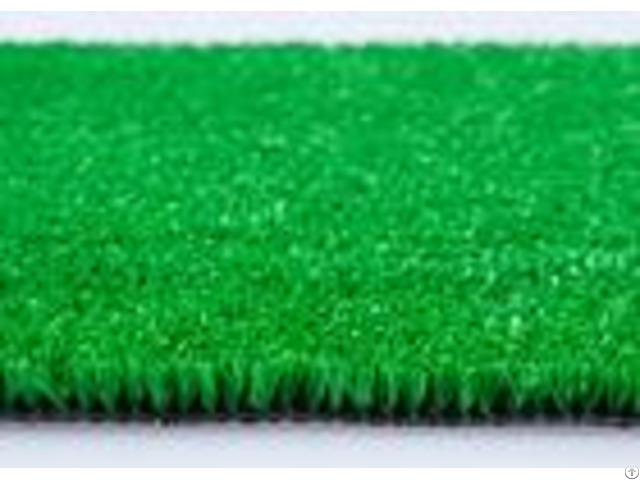 10MM PP fabrillated Light Traffic Natural Carpet Grass Price for Terrace Specification of Natural Grass: - - - - Model No. : | 6032 Natural Grass | Pile Height: | 10 mm | Gauge: | 5/32 inch | Stitches: | 250/m | Density: | 63000 stitches /sqm | Dtex: | 2200 | Color | green | Pile Material: | PP fabrillated | Backing: | PP | Coating Backing: | Black SBR Latex | Guarantee: | 1-2 years | Delivery time: | 7-10 days after the receipt of the advance payment | Package: | Packed in rolls (4x25m, 2x25m), with PP cloth or as your field size | Payment terms: | T/T, L/C at sight, Paypal, other terms need to be negotiated with sales person. | - - - - Application of landscaping Artificial Grass: GARDEN GRASS A beautiful and well maintained lawn, year after year. Very suitable in extreme drought, mossy or shady environments. Children and pets love it as well! BALCONY, TERRACE AND PATIO Add colour and atmosphere to your balcony or patio. Walk on Grace Grass bare feet, enjoy the nice weather on a perfectly green terrace. GREEN ROOF Enjoy a year-round green roof terrace, maintenance free. More time to spend on more important things. PLAYGROUNDS WITH ARTIFICIAL GRASS A safe all-weather playground in the summer and winter. Looks like natural grass, but in a better condition with no holes, no mud and fast drying. Artificial grass is always invitingly green. INDOOR OR DECORATIVE Artificial grass is often used as decoration for offices and exhibitions. Be creative: it can even be used in your childs bedroomturn it into a jungle! PUBLIC LANDSCAPING Grace Grass is suitable for places where ordinary grass will normally not grow, in any location. Its a low-cost and environmentally friendly solution because it doesnt need water and practically no maintenance. Durability guaranteed. 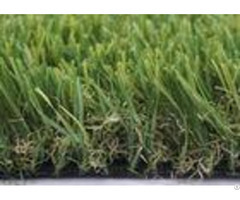 OTHER APPLICATIONS Take a look at more possibilities for using Grace Grass artificial grass Package of artificial grass: The packing must be rolled on the cardboard core tightly and neatly. 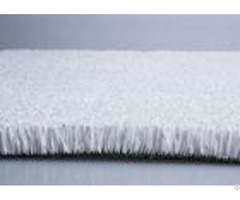 In this way, The grass rolls can keep good shape during the transportation, will not be wrinkled or damaged . Packing: we usually packing 50sqm or 100sqm per rolls by PP bag, one roll 2*25m or 4*25m or by order. Shipping: Regular transport by sea, or as the customers requirement. Trade information: - - - - Trade Terms | EXW, FOB, CFR, CIF, DDU or others | MOQ | 300-500sqm | Shipment | ocean/ air/land transportation, international express | Port | Shanghai port or specified port | Payment Terms | T/T, L/C, Western Union, Paypal, Escrow or others | Payment condition | 30% before production, 70% before delivery | Supply Capability | 400, 000sqm/month | Sample Availability | Yes | Sample Time | 1 day | Packing | PP bag or others | Delivery time | 10-15 days after confirming the order | Service | OEM, ODM or Customized | - - - - Installation of Artificial Grass: 1.Pitch Design 2.Dig Out the site 3.Lay Water-permeable underlayer to match the sports and climate requirement 4.Roll Artificial Grass rolls out and glue them 5.Fill with sand and/or rubber infill FAQ of artificial grass: 1. Is Grace Grass safe and non-toxic? Yes, and especially suitable for children and pets are some of the main reasons people go for artificial turf. 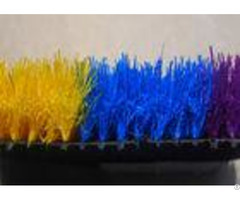 It is safe, non-toxic easy to clean and real no-hassle solution for a safe place for your family to play and relax. 2. Have your synthetic grass products been tested for safety and environmental hazards? Absolutely. Weve undergone extensive testing and all of the products. we sell meet or exceed federal safety standards. The products are free of lead and heavy metals, and our sports grass is certified by the International Play Equipment Manufacturers Association. 3. Will it drain properly? Yes. The grass has drainage holes in the base of the fabric allowing water (and other liquids to pass through unhindered. 4.Maintenance You just use your leaf blower to remove any debris that may have landed on your new lawn. Use your garden hose to wash off any dust or dirt that accumulates, including anything your loving pets leave behind. 5. Why choose us? A: Because we are a factory with export license trading company.which means cheap price, quick delivery, abundant supply and professional foreign trade staff. 6. How can I get some samples? A: 1) We are honored to offer you samples. New clients are expected to pay for the courier cost, the samples are free for you, this charge will be deducted from the payment for formal order. 2) Regarding the courier cost: you can arrange a RPI (remote pick-up) service upon Fedex, UPS, DHL, TNT, etc. to have the samples collected; or inform us your DHL collection account. Then you can pay the freight direct to your local carrier company.